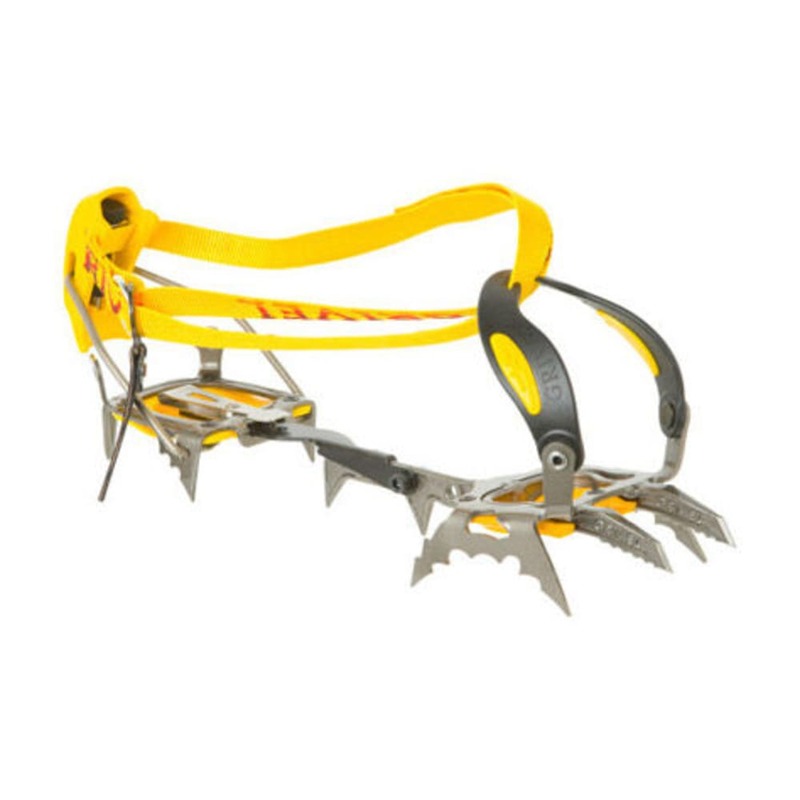 The Grivel G22 continues the evolution of lightness in technical crampons with two front points—the lightest dual-point crampon at 930 grams with front and rear antiballing. Weight: 2 lb. 0.8 oz.